It’s hard to believe that a green, leafy vegetable can taste as delicious as potato chips, but it’s true! They might also boost immunity and help prevent a summer cold. Cool Kids Cook: Fresh & Fit by Kid Chef Eliana with Dianne de Las Casas, © Eliana Marisol Casas, used by permission of the publisher, Pelican Publishing Company, Inc. In a large bowl, combine oil, vinegar, and salt. Add kale and massage oil mixture into kale leaves. Place on a lined baking sheet, making sure kale leaves do not touch each other. Bake for 7 to 10 minutes. Do not let kale leaves brown, or they will be bitter. 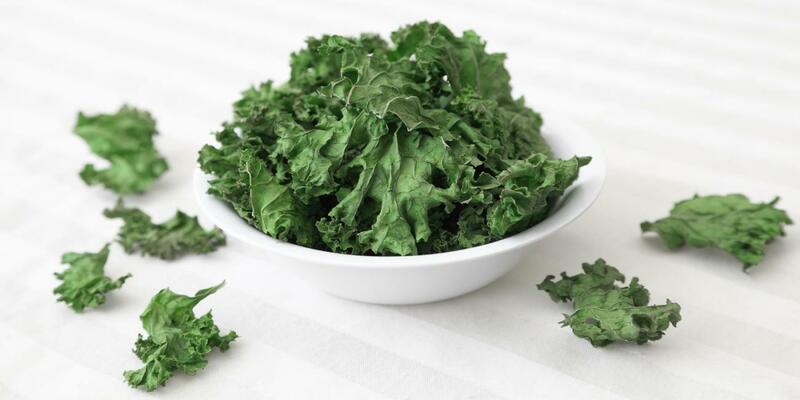 Kale chips should be crunchy.